The name ‘Katana’ brings to mind a sharp, curved blade, used by the samurai of feudal Japan. Fitting then, that the name would be used on the winner of a cutting-edge design exercise that German motorcycle magazine Motorrad started back in 1979. They invited three famous design houses to provide ideas for how motorcycles should look in the forthcoming ‘space-age’ 1980s. Porsche Design, Ital Design and Target Design took part and it was one based on a 750cc MV Agusta shaft-drive four from Target that won and was displayed at the IFMA Cologne show at the end of 1979. Target had been founded that very year by Hans-Georg Kasten, Jan Fellstrom and Hans Muth. Kasten had started his design career at Porsche in the 1970s and later worked at BMW on motorcycles such as the GS80. Muth had already established a reputation by designing the first properly aerodynamic motorcycle, the BMW R100 R S sports tourer. 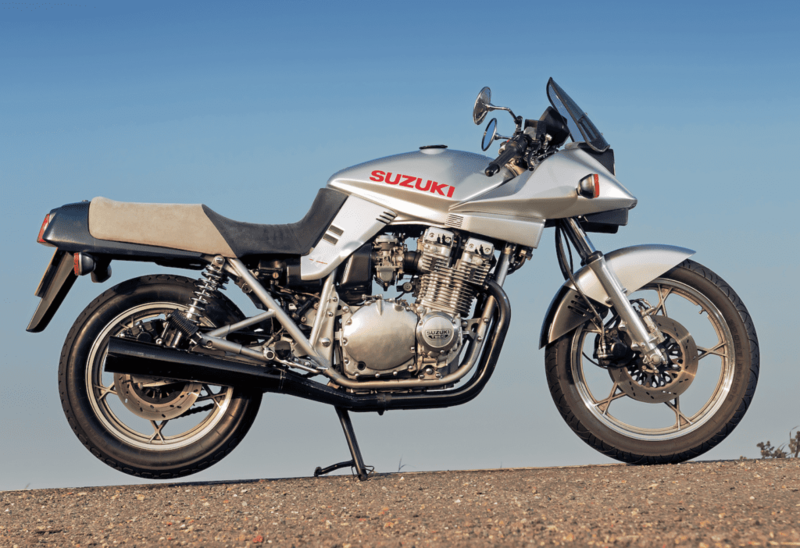 The response to their design was huge – so much so that Suzuki asked Target to produce something similar. 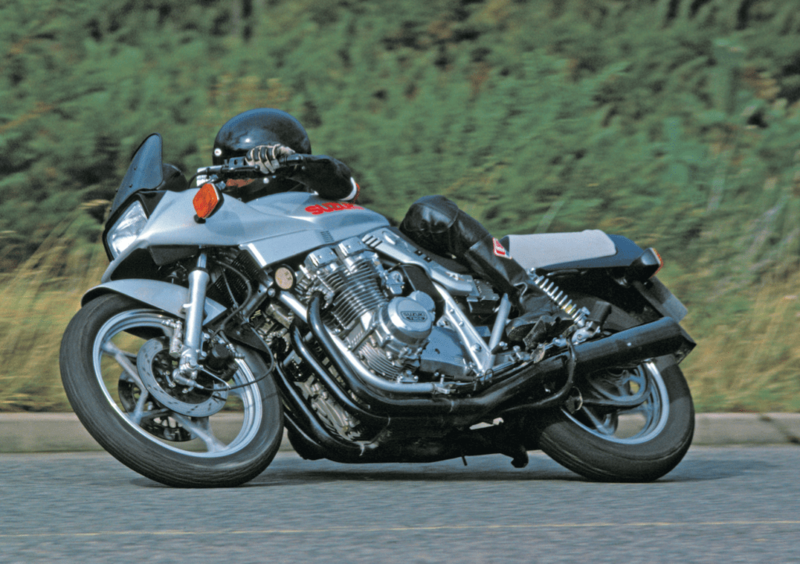 By March 1980 Fellstrom’s sketches of the new bike were being released. 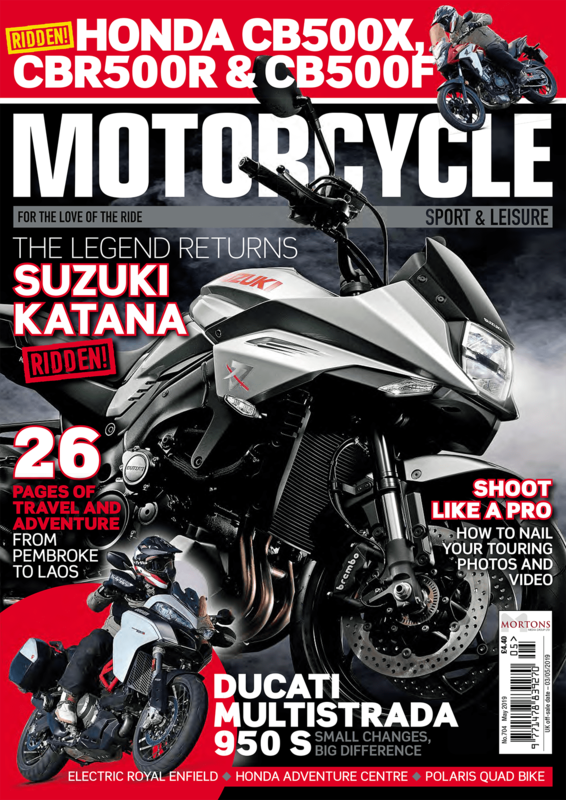 Read the rest of this article in the May issue of Motorcycle Sport and Leisure, in the shops NOW!